more attention than this one. The Bible is the Word of God. It tells us about the life and death—and resurrected life—of the greatest man who ever lived. His name is Jesus Christ. For centuries men have debated the identity of this unique man. How did he do the things he did? He is the only man ever born by way of God putting a seed in the womb of a virgin (Matt. 1:18; Luke 1:35). God put a perfect seed in the womb of Mary so that Jesus would be born without the sin nature that every other human being inherited from the First Adam. 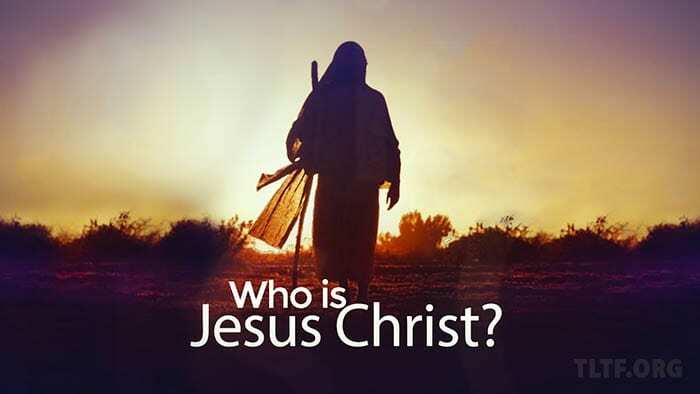 Therefore, Jesus is the only-begotten Son of God (John 3:16 – KJV) and the Son of Man (John 5:27). He is the only man who is called “the Last Adam” (1 Cor. 15:45). As the only-begotten Son of God, Jesus was the genetic equivalent to the first “Son of God,” Adam (Luke 3:38). As the only man born without inherent sin, Jesus was thus the only man equipped to be the Savior and Redeemer of mankind. Romans 5:12–21 is the classic comparison of these two Adams and the respective impact each had on mankind. He is the only man who died as the perfect sacrifice for our sins (Heb. 10:12–14; 1 John 4:10). By his virgin birth, Jesus was the “genetically” perfect sacrifice for the sin of mankind. By his lifelong obedience to God, all the way to his dying breath on the Cross, he became the “behaviorally” perfect sacrifice for the sins of mankind (Heb. 2:17). Thus, he was the complete propitiation for fallen men to be redeemed. He is the only man God ever raised from the dead in order to confirm that he was who he had said he was—the Son of God (Acts 17:31; Rom. 1:4). The resurrection of Jesus Christ was God keeping His promise to His Son, and also His affirmation to all men that Jesus is “…the way and the truth and the life…” (John 14:6). He is the only man whom God highly exalted as “Lord” and “Head of the Church,” and to whom God has given all authority in heaven and on earth (Dan. 7:13 and 14; Phil. 2:9; Acts 2:36; Eph. 1:22; Matt. 28:18). As Pharaoh exalted Joseph to his right hand and gave him all authority in Egypt (Gen. 41:37–46), so God has given Jesus functional equality with Himself. Jesus Christ is now God’s “right hand man” (Eph. 1:20), carrying out the work that will eventually restore this fallen world. He is the only man who will one day return to the earth, destroy all evil men (and eventually destroy Satan and his evil spirit cohorts), and rule the earth as King for 1000 years (Rev. 19:11–20:7). At his first coming to the earth to Israel, Jesus was the sacrificial Lamb of God, but he will come again as the Lion of Judah to save his people, Israel, and destroy all God’s enemies. He is the only man who will raise from the dead every human being who has ever lived (John 5:21 and 25). As God has given Jesus “life in himself,” so he will raise up all people. He is the only man who will judge all men and women of all time (John 5:22 and 27). Jesus will righteously judge all people, granting everlasting life to those who deserve it, and annihilating all the wicked (Acts 17:31; John 5:28 and 29). He is the only man who will restore on a new earth the Paradise that the First Adam lost (1 Cor. 15:24–28). As “the Last Adam,” Jesus was God’s Contingency Plan to salvage His original plan that Adam’s disobedience thwarted, that is, a perfect race of people living forever on a perfect earth. Amen.